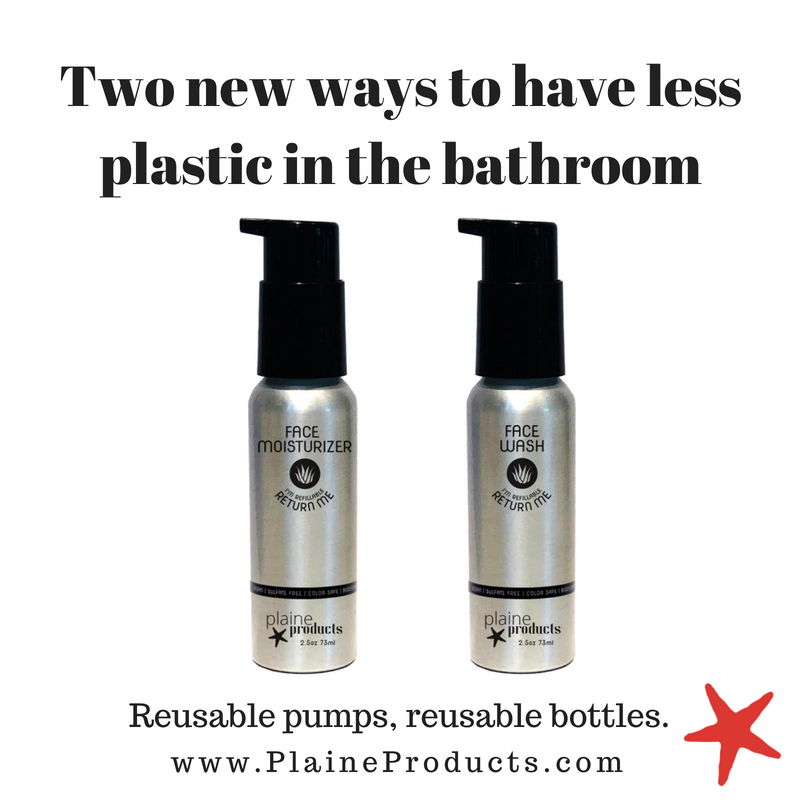 A few weeks back, I was chatting with a reader about what to use for low-waste body lotion. For years, ever since I first got fed up with reading labels and trying to parse out which ingredients are natural and non-toxic and which aren't, I've just been using sweet almond oil. It has worked well for me, mainly because I tend to shower in the evening, which means that I have plenty of time to hang out in my towel while it soaks in and that it doesn't matter to me if a little bit transfers to my pajamas. But, morning-showerers and folks not yet on board the body oil train, there are other options! Last week a friend and I got together to make homemade body lotion from simple, mostly zero waste ingredients, and just like that it's possible that I'm re-converted to lotion. We used this body butter recipe, which calls for equal parts shea butter, cocoa butter, coconut oil, and sweet almond oil (or another liquid oil), plus optional essential oils for fragrance. (Chicago friends, you can find shea butter and cocoa butter in bulk at the Edgewater Whole Foods.) The end result is pretty astonishing - it's fluffy and light, and it sinks into skin quickly. I had gotten so used to needing to wait for the almond oil I used to absorb that I hadn't realized that, well, it's kind of a pain. This option is way better. You can find a video featuring the full how-to here. It requires about an hour of inactive time for the mixture to cool once you've heated it, so I recommend watching the video in full before starting so you can plan accordingly. One more thing - there are lots of lotion recipes out there, but those with water in them tend to have a really short shelf life. This recipe doesn't have that issue, although because of the coconut oil it might get a little melty in the summer (the fridge should firm it right up, though!). 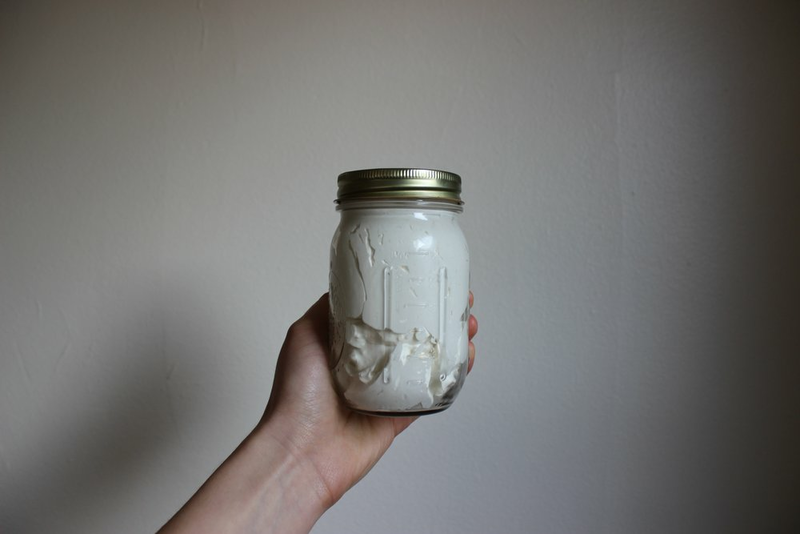 Have you ever made homemade lotion? What recipe do you use? I think this one will become a staple for me for a long time.